Pastor Matt Heard has laid out a call for Northland Church to seize this kairos moment in our story—this exciting time charged with potential. In his new role as Lead Pastor, his desire is for each of us to partner alongside one another in the privilege we have, under Christ’s direction and enablement, to relaunch Northland into our next chapter. By being generous with our time and abilities, as well as renewing our commitment to provide vital financial support, we will set the stage for the fulfillment of what Matt characterizes as Northland’s Top Ten Goals for this important season. As we join together for the journey ahead, please take some time to regularly intercede for God’s leading in each of these ten areas. In times of transition, it is natural to hunker down and simply try to survive the storm and even hold back our financial support. But now is the time to move forward with faith, generosity and fruitfulness. Partner in prayer for intentional kingdom progress forward. We are blessed with some amazing individuals on our elder board, in the ranks of our staff, in our ministry leaders and in our faithful volunteers. Partner in prayer for unity, synergy, clarity of roles and structure, and a renewed sense of Life, calling and vigor. Embedded in Northand’s DNA is a call to impactful influence both locally and with others all over the world and we have been richly blessed by those relationships. Partner in prayer that the impactful ministries within our church body, within our cities and within the larger realm of God’s earthly kingdom will not only continue, but flourish. The future of Northland is to be stewarded now. Partner in prayer that we would serve younger men and women—from children to students to twenty- and thirty-somethings —in a welcoming, accommodating and inspiring way as they embrace God’s grace, Life, and call on their lives. The beauty of a large church is how we can galvanize together in a catalytic way to come and worship, but this is not all of church. The necessity for the body of a large church to connect in smaller communities cannot be overstated. Partner in prayer for all people at Northland to invest in doing life together. The Scriptures encourage us to gather and share the stories of what God is doing in our midst—from person to person and group to group. In this time of transition and beyond, partner in prayer that we will use all forms of communication in our grasp to catapult the story of God’s faithfulness in a powerful, compelling way. Something amazing can happen when together we acknowledge and celebrate a high view of God, an accurate view of us and, therefore; an accurate view of Jesus and the grace He seeks to lavish on us. 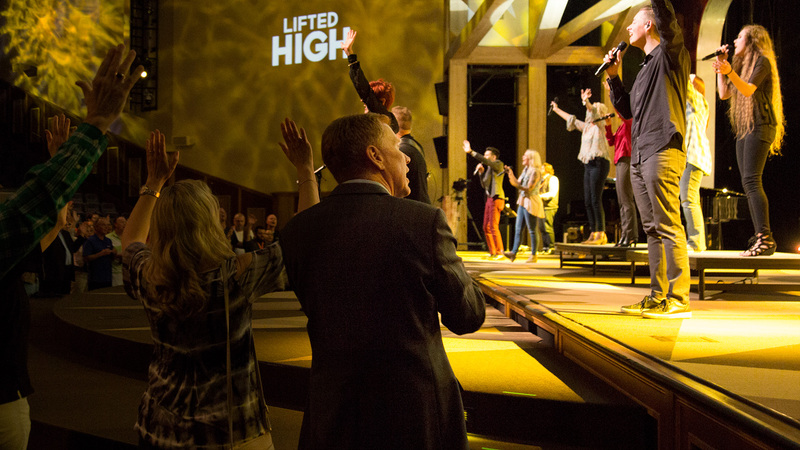 Powerful, Christ-centered worship is a hallmark of Northland. Partner in prayer that we will continue on this path while simultaneously exploring the newness that can be breathed into how we approach and connect with God through worship. Every one of us is called, wired and particularly gifted. Partner in prayer as the leadership, staff and ministry leaders strive to see every person enfolded, empowered and engaged together in the work of the ministry of Northland. Every person means YOU! As we endeavor to develop a multi-voice, multi-generational preaching team, partner in prayer for Northland to become a place where preachers and teachers are equipped to communicate the word of God that is holistic—addressed to mind, heart and will for an all-of-Life embrace of the Gospel. We have a rich legacy to steward. Now we are asking with open hearts, open minds and a spirit attuned to the whispers of our Creator: What is God’s most compelling future for Northland Church? Partner in prayer that we would uncover a vision that each of us, in deference and service to our great God, would be drawn to give our lives to. It is vital that we not only offer our prayers and our renewed financial partnership in this season, but also our voices. As we enter the final stages of this revisioning process, we invite you to speak into what you are hearing from God about Northland. Please take five minutes to answer the 8 Questions Matt mentioned during the sermon. Thank you!